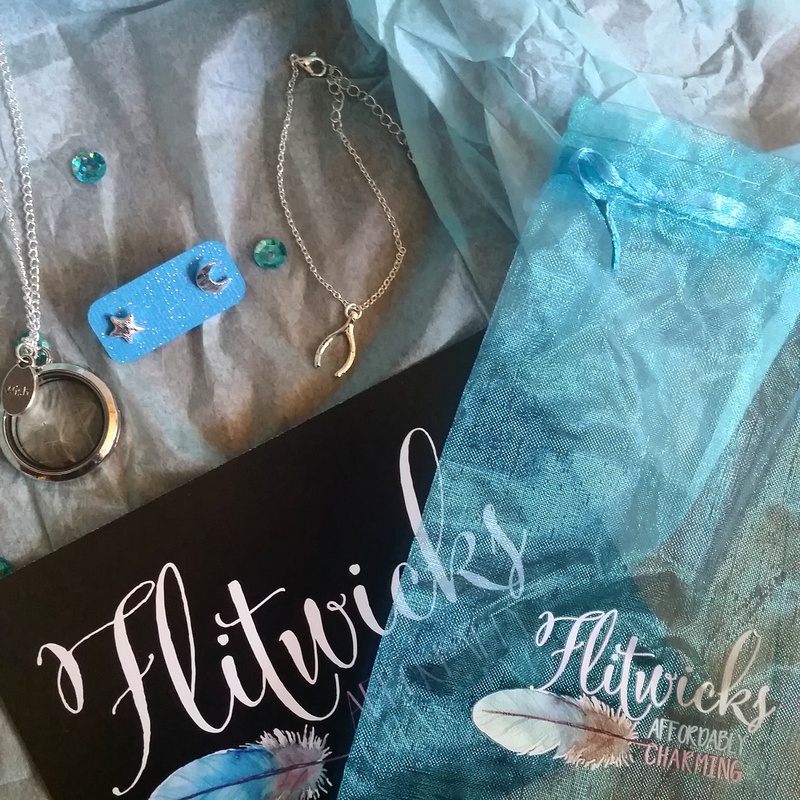 I decided that after spending the last half a year with the same subscription boxes, I’d switch it up and try a new one in addition to me regular boxes this month – thus, Flitwick’s Box showed up in my mailbox!! It’s run by the same people who created Fandom of the Month Club, and after falling in love with that subscription, I decided to give this one a try. The thing about Fandom of the Month Club is that it’s all themed jewelry, and the unfortunate part for me is it has to be paired with the right outfit – working in an office all day doesn’t allow for quirky pieces (as much as I wish it would). Then Flitwick’s magically appeared and my obsession with jewelry just got that much better. I was suddenly able to get a subscription box where I was able to wear all the pieces on a regular basis, and I have….twice. The first beautiful piece was the item featured prior to even sending the box – a Wishing necklace, complete with real dandelion seeds. The necklace is a real wishing necklace and CAN BE OPENED to make a wish, however why would you want to? I think I’ll keep them safe in the glass, thank you very much. If you’re worried, fear not! The glass is held together by some super strong magnets, so you’d have to force it open to release the seeds if you really wanted to. The next item was the wishbone bracelet. I loved this bracelet because of how simple and delicate it was, but it also fit the theme so well! And finally, the moon and star earrings. I’m a huge fan of this new trend for mismatching pairs of earrings and this set is absolutely adorable. I wore them the day they came in! This box absolutely blew me away, and their packaging was phenomenal. I am so excited to continue receiving jewelry that I can wear on a daily basis! To get your own Flitwick’s Box, head over to their website and find out how!! You won’t regret it – next month is all autumn themed jewelry, and I’m eager to see how beautiful it all will be!